Happy Hamby Campers: On-the-go in Ben-di-go! 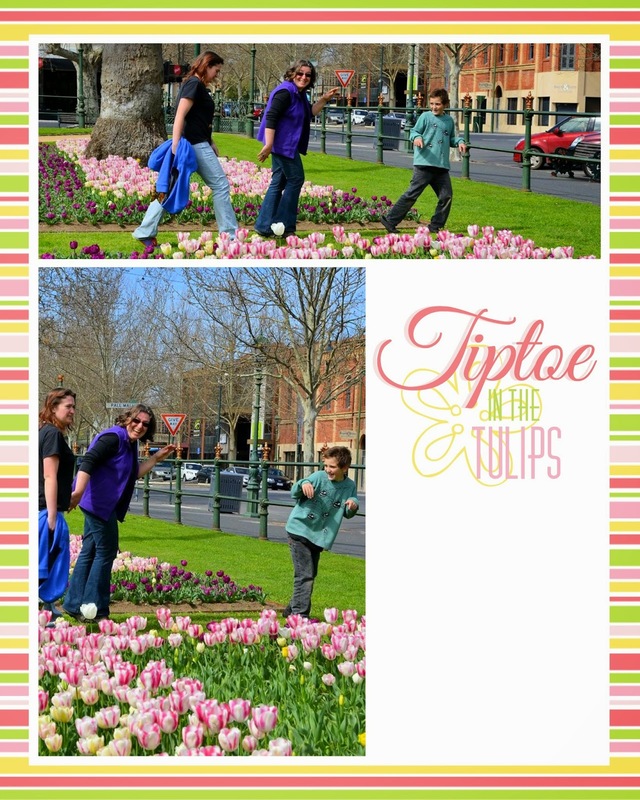 Nick, Vaughan and I did a day-trip to Bendigo last year. 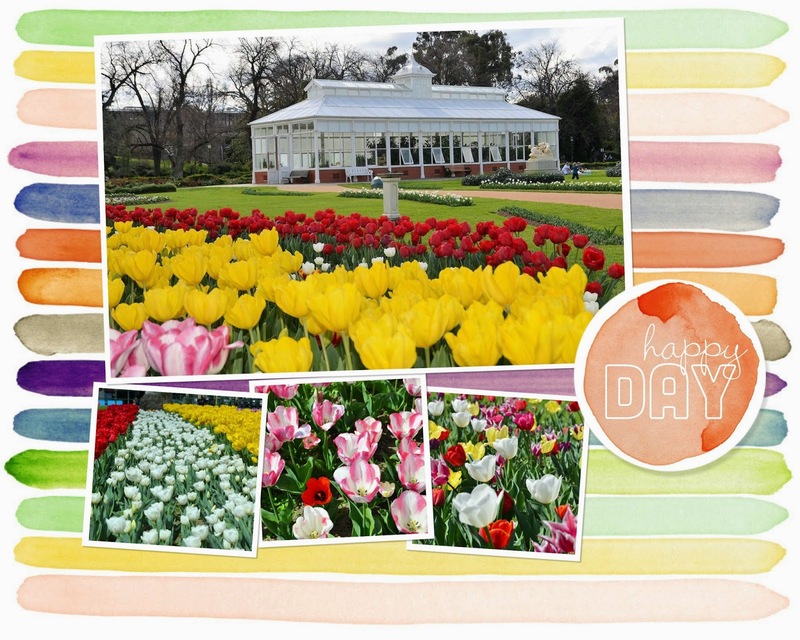 It was our first visit and we thoroughly enjoyed ourselves. I'm not sure why I didn't write of it back then, possibly because we didn't actually do a lot. In contrast, we did heaps on Sunday when we were on-the-go in Ben-di-go! 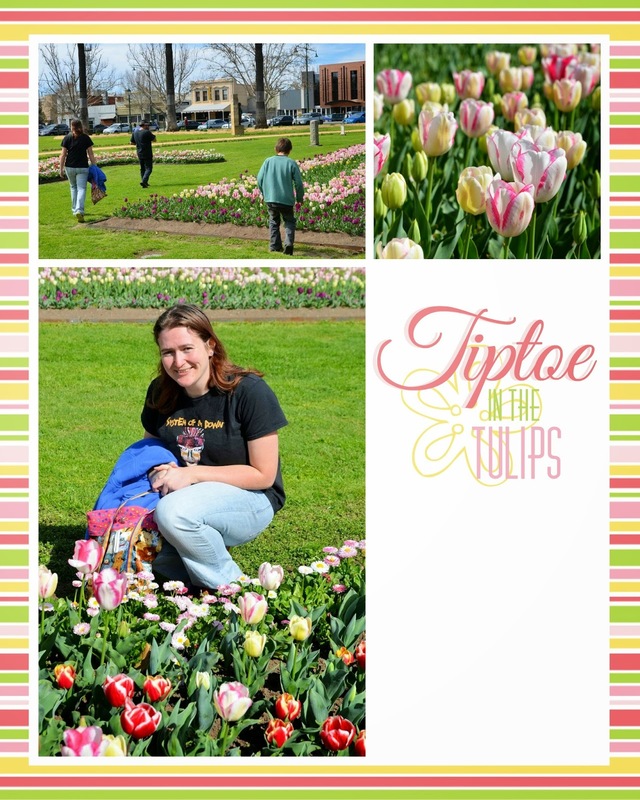 Tulips are one of Erin's favourite flowers and she was very excited to see so many in the lovely Rosalind Park. (Hmm, on checking that link it seems there is a self-guided Discovery Walk we could have done. Oh well, next time)! There were so many beautiful red-rumped parrots around. They nest in the trees along the road in front of the conservatory (where we had parked our car) and we listened to their happy chatter as we ate our morning tea. (You can hear a sound file of them on the link). 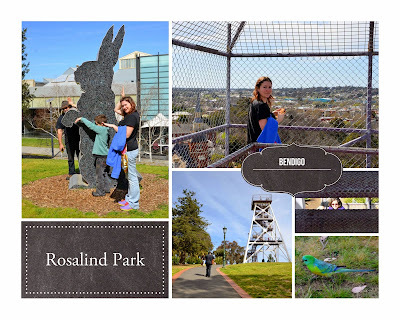 Once the thermos and beverage case were stowed again, we wandered through the larger park, where there were many more parrots on the grass and a colony of flying foxes in some of the trees. 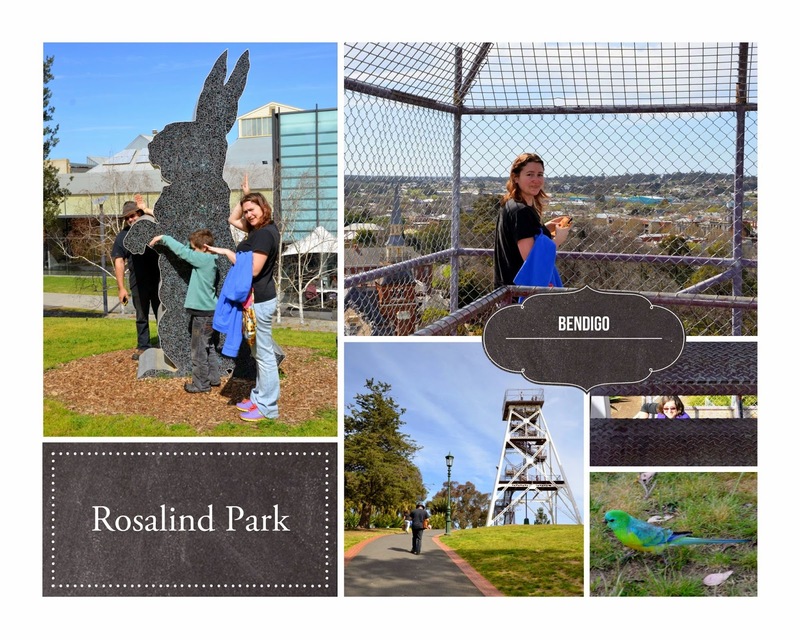 The park is situated on what was the former goldfield and in 1931 a poppet head (a huge structure that originally stood over a mine shaft of the Garden Gully United Mine) was shifted to the site for use as a lookout. From a distance I thought I could be very brave and climb the tower. Hah! In reality I only reached the first landing, though stayed there longer than Vaughan! Erin surprised herself by almost climbing all the way. Given our usual wimpishness, we relied on Nick to take photos from the very top level!